Ray and I have both lived in Florida for our entire lives, and while it’s not always the ideal state to be in (hello 105 degree + humidity), it’s our favorite state to be in! 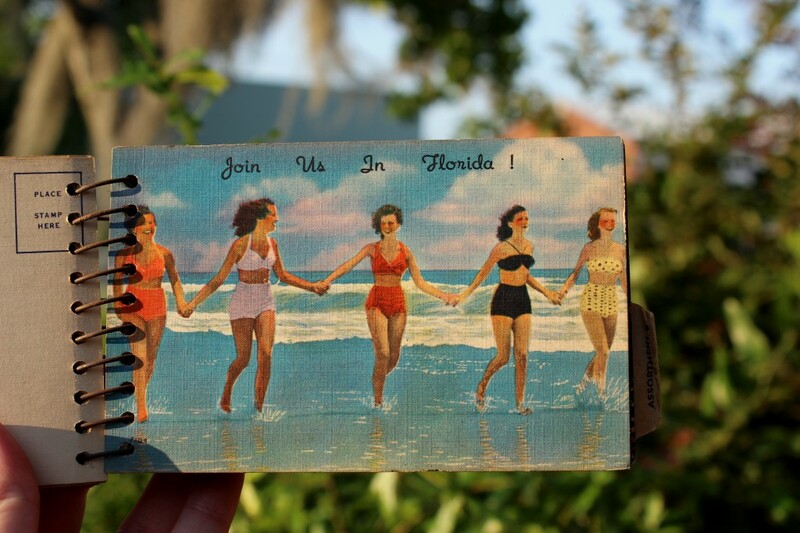 Love, Florida is going to be a recurring series on alliray that will feature Florida-related wonderfulness. 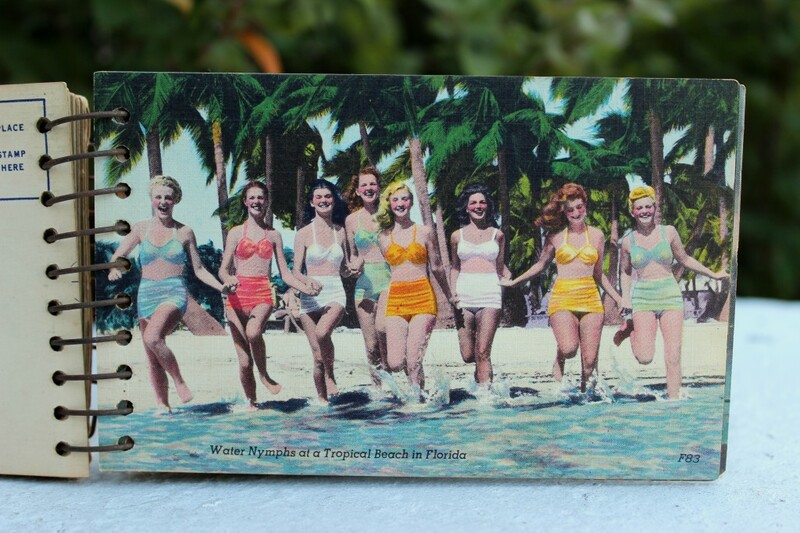 My good friend, Katie (another lover of interesting retro finds), gave us this book of vintage Florida post cards she found in her Grandmother’s house. I really REALLY love them and have been trying to think of different ways to display them around Big Brown. 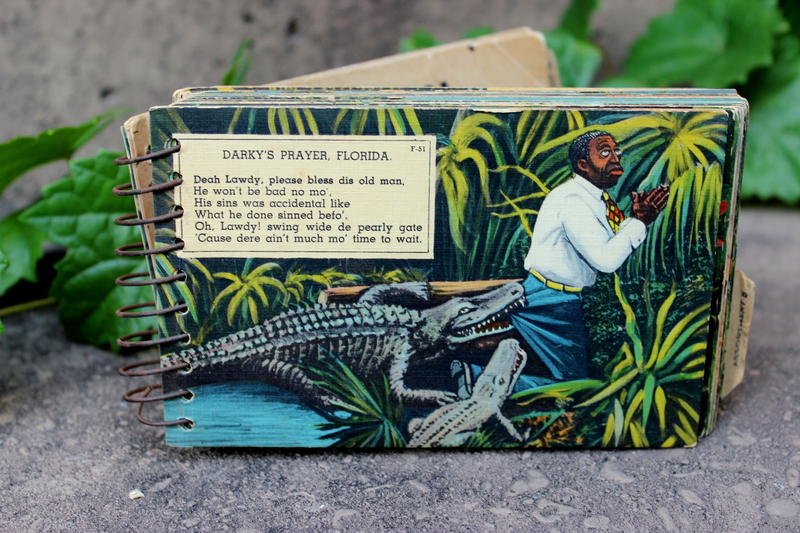 This alligator postcard is my favorite. The painting style and colors are so perfect. I know, sooo rascist. I love the expression on this man’s face though. Also, his yellow belt. 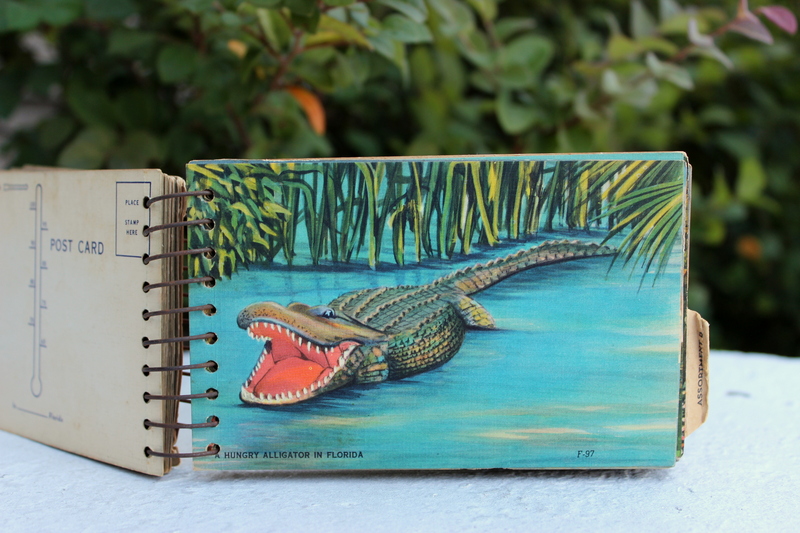 This entry was posted in Love Florida, vintage and tagged alligator, Florida, love, love florida, oranges, painting, postcards, vintage on May 25, 2012 by allison. I’m very excited about this series. These are so good. The oranges one is my favorite. 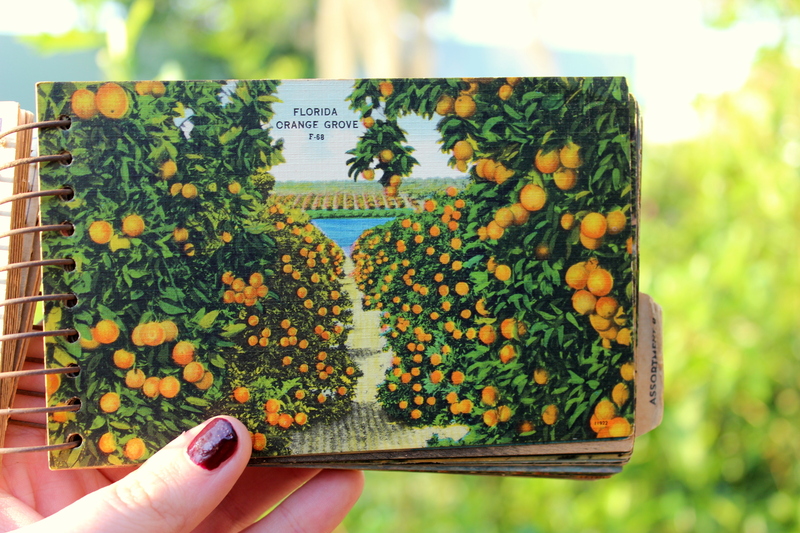 I love vintage orange art. I vote for leaving the book together, and displaying it on an easel. 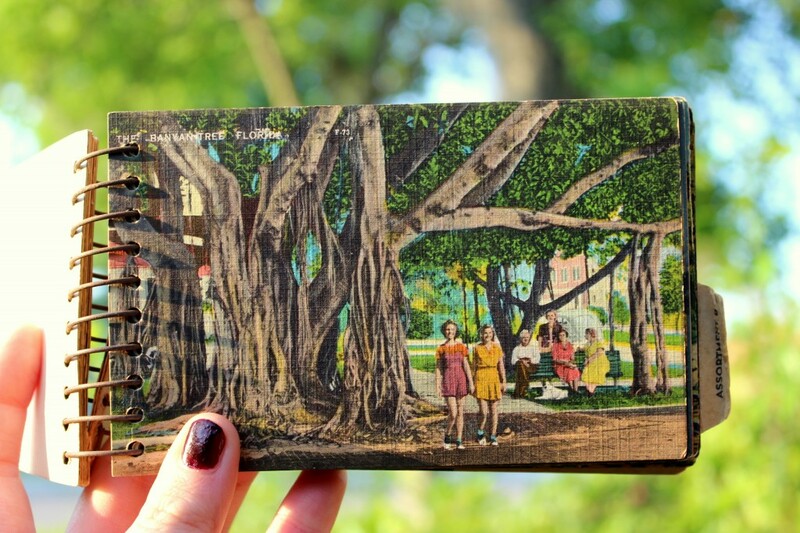 Leave it open and change the postcard on display whenever you want! Or…you could just mail it to me, because I’m seriously envying. I LOVE THIS! What an awesome find!! 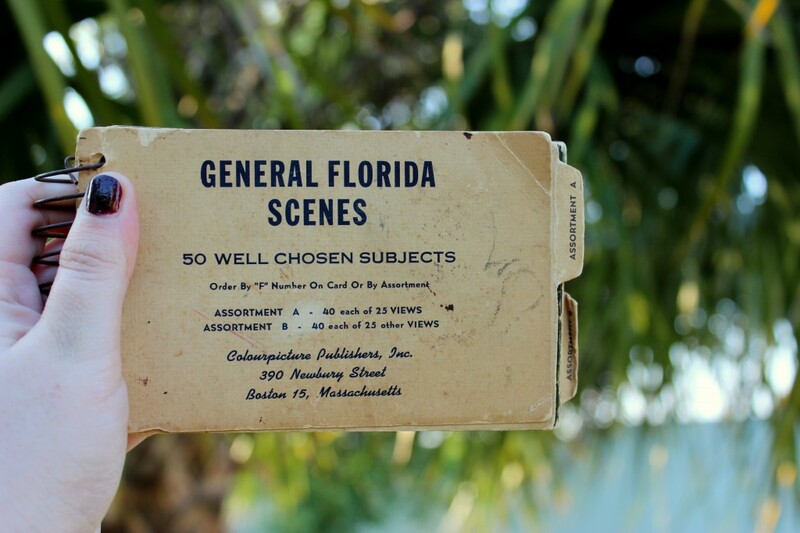 You could make copies of your favorites for framing and displaying & then leave it out as a coffee table book?